The mall, although not always apparent, resides at the forefront of consumerism in America. However, along with consumerism, such a shopping complex also correlates to much vaster notions of autonomy and self-sufficiency. Imagine not being able to purchase basic material goods, browse around stores merely for enjoyment, or consume food at the Cheesecake Factory, primarily because most of the restaurant’s chains are located within mall structures. 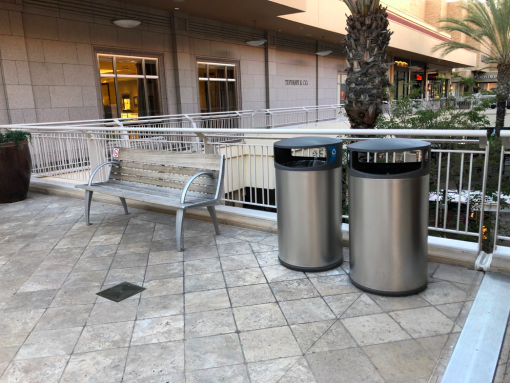 In the following sections, I dive into what the term “access” entails in a mall setting, particularly focusing on Fashion Valley Mall in Mission Valley in San Diego, California. 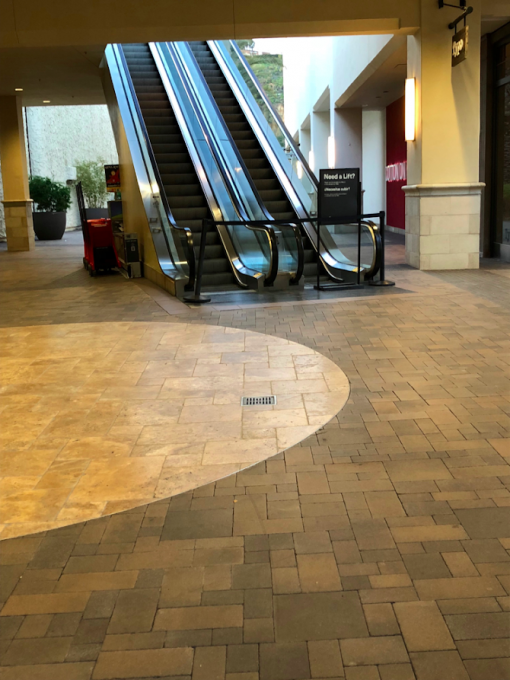 Upon arriving at the mall, I was pleasantly surprised to see functioning elevators that permitted easy admittance into the mall itself, ramps that were largely widespread, and benches and trashcans that were low enough for wheelchair users (Figure 1). Nevertheless, once closely examining each aspect of the vicinity, I started becoming more cognizant of certain, namely physical, impediments. Predominantly, Fashion Valley was encased with usable and logically-built ramps. 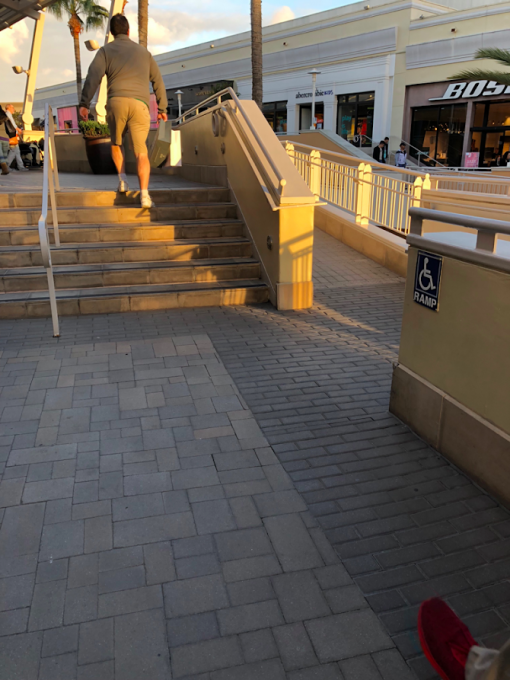 However, in one part of the mall, if wheelchair users desired to browse stores in a certain area (not visibly shown on the left side of Figure 2A), they would be forced to travel up a ramp that extended towards the end of the mall’s second level. Contrarily, walkers were conveniently able to enter those selection of stores without any barriers (Figure 2B). Another major inhibition was spotted at the far end of the mall’s second level. When attempting to take the escalator as a means of entry to the first level, a sign was located adjacent to the escalator that stated it was defective and therefore could not be readily used (shown from the lower level in Figure 3A). Despite being able to easily use the extensive staircase on the other side of the second level, it would evidently be an impossibility for individuals who could not (Figure 3B). Even though I have just described several physical obstructions within the shopping infrastructure that would inhibit mall-goers with disabilities, such limitations are ultimately linked to a society of inclusion. In this sense, inclusion allows for greater opportunities for social participation (Williamson, 2015: 14). On the surface, the impediments mentioned seem merely technical but are actually attached to our rights as citizens. The notion of a mall itself is tied to inclusivity constructed for the purpose of making an all-in-one shopping venture exist for ‘anyone’ to access. It is a suitable innovation namely for those who may want to purchase a good but are too sluggish to travel to various locations to do so. 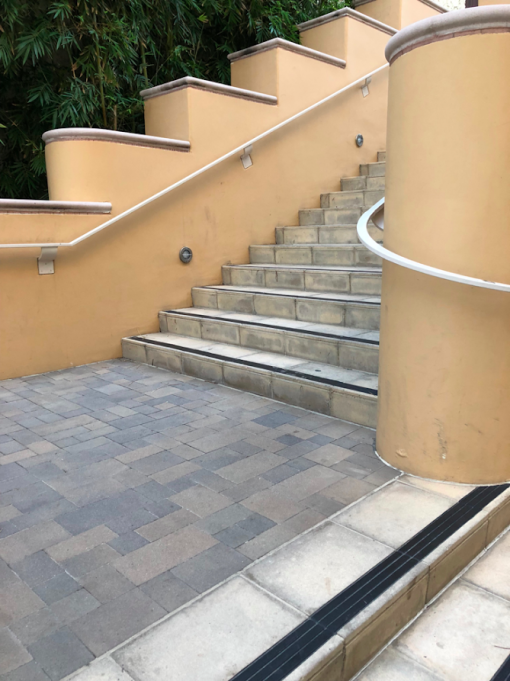 However, when certain physical barriers are put in place, as demonstrated in Figure 2A, access for particular individuals who cannot easily take the stairs alters into a skewed concept. The mall no longer becomes a place for ‘anyone’ to access but rather, a much more immense predicament that creates problems for social exclusion, such as not being able to comfortably walk around the mall with peers. In addition, if America is built on the foundation of consumerism and individuals with disabilities are isolated from consumeristic practices due to physical inhibitions, their rights are thereby taken away. 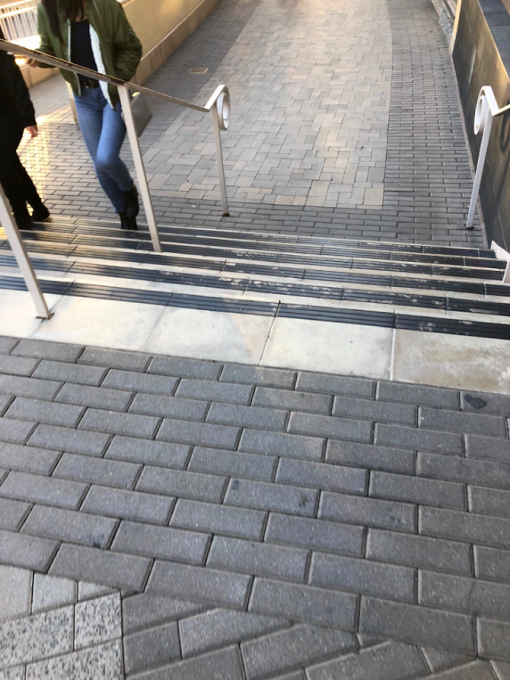 Architectural restrictions act as external barriers that limit certain groups of people’s mobility (16), and in this case, it clearly extends beyond physical mobility.